"This is a sponsored post on behalf of Review Wire Media for the Flowerling App. I received information to facilitate my review as well as a promotional item to thank me for my participation." Flowers are a perfect replica of human life. They have a language of their own and every sentiment can be expressed by these beautiful blooms. We've all received flowers on some occasion or the other. We watch them arrive beautifully, set it up in a vase or place the bouquet at a right place in our home. But as the time passes by, they get spoiled. What if there is a way to send and receive flowers in a way that makes people smile and makes a difference? It would be wonderful, isn't it? 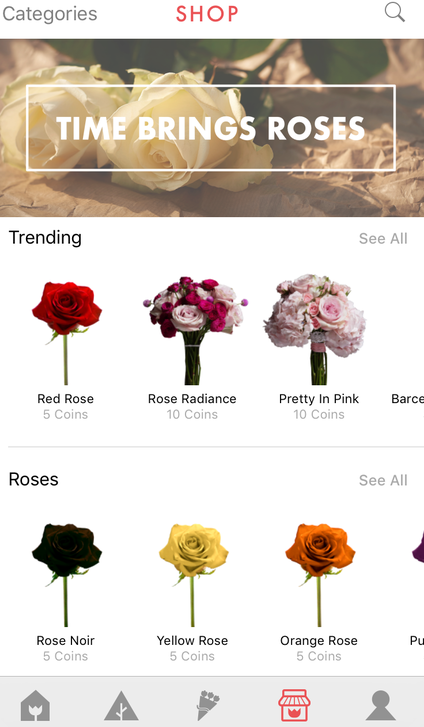 Flowerling app is here as a new approach and a digital way to send flowers. This app allows you to do what you already love to do - send flowers – but in a new way that brings joy and happiness to those who receive them, and makes a positive impact on the world we all share. 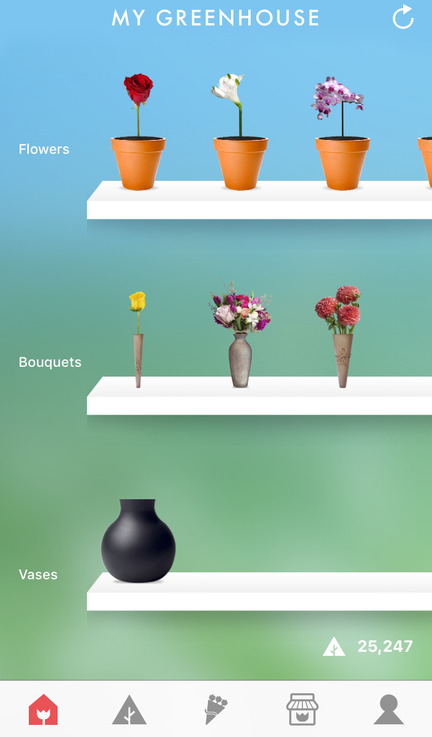 You can download the Flowerling from the App Store for iOS devices. Once you have downloaded and logged into the app, you can see a beautiful selection of roses, bouquets, potted flowers, and vases. The app gets updated often with new flowers and you will get updated on it. You can buy coins from the store which can be used for buying or sending flowers, bouquets, and vases as a gift to your loved ones. 5 coins for $0.99, 10 coins for $1.99, 26 coins for $4.99, 38 coins for $6.99 and 55 coins for $9.99 are the 5 options available for coin purchase. The coins you purchase will never expire. Select the flowers you want to send and send the Flowerling to your special person. Just like real flowers, your Flowerling begins to age as soon as it is sent and the potted flowers needing water to stay alive. The lifespan of your Flowerling is 8 days. You can use your coins to buy food and add 7 days of life to your flower. Unlike the real thing, there is never any stinky water. Buying food for a Flowerling will add several days to its life - and still no stinky water. 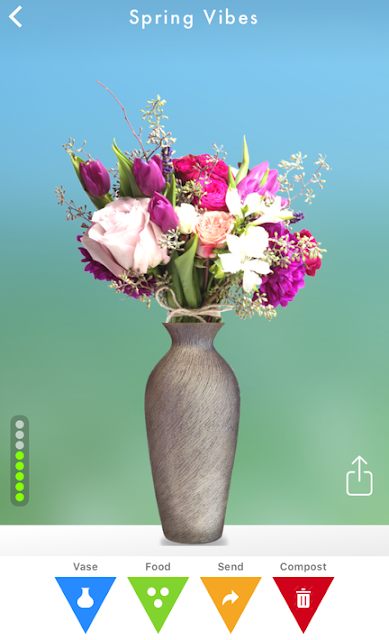 Customize the Flowerling by adding a background image from your phone or take a selfie or add a vase from the shop or just send it as it is. The choice is yours! You can send Flowerling to anyone around the world as the app is currently available in all countries. Though the app is only available on iPhone, you can even send it to your friends who do not have the app. They will only be able to view their Flowerling via a web browser. The sent and received gifts can be seen in your profile section. For the first time ever, you can send someone a digital rose that will bud, bloom, wilt, and compost in real time. It's as wonderful as it sounds. Now comes the positive impact Flowerling has on our environment. For every Flowerling sent, Flowerling will dig the hole and plant a real tree, specifically a Mangrove tree in Madagascar through their partnership with the Eden Reforestation Project. 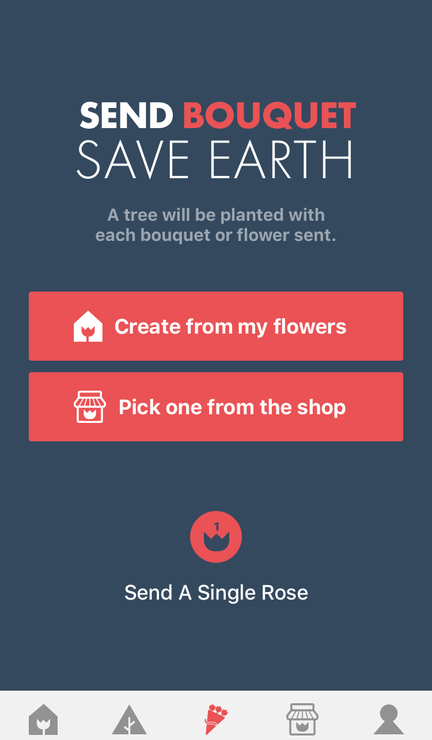 Change the ways and why we send flowers with this eco-friendly app. Flowerling is a socially-conscience way to buy and send flowers. 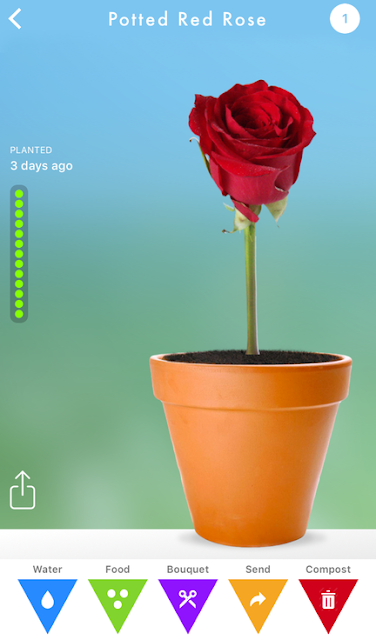 Shake-up the ways and the whys of sending flowers by sending digital flowers and save the earth.